With Pilates at the core of what we do, our focus is to create strong and healthy bodies that can handle all the activities you love. 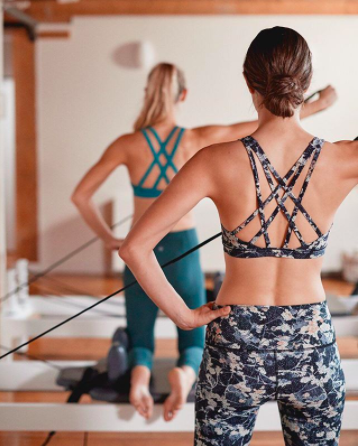 Pilates supports your active lifestyle by rehabilitating existing injuries, preventing new ones, increasing body awareness and control and building strength and flexibility. That said, if you’re wondering how you can truly supercharge all your hard work in the studio, we recommend taking a deep look at your sleep! Sleep is critical for a number of physiological and cognitive functions that support your general health, but it’s particularly important to those who lead active lifestyles. Unfortunately, one-third of Canadian adults (age 18-64) report that they sleep fewer hours per night than the recommended duration for optimal physical and mental health. There are a number of studies and personal reports that show sleep deprivation can have significantly detrimental effects on performance. Not getting enough sleep can also impact learning, memory, pain perception, immunity, and increase injury rates and inflammation levels in the body. For active individuals specifically, both chronic and partial sleep deprivation can cause changes in glucose metabolism and neuroendocrine function. These changes affect carb metabolism, appetite, food intake, and protein synthesis. On the flip side, when we do sleep well, really great things happen. 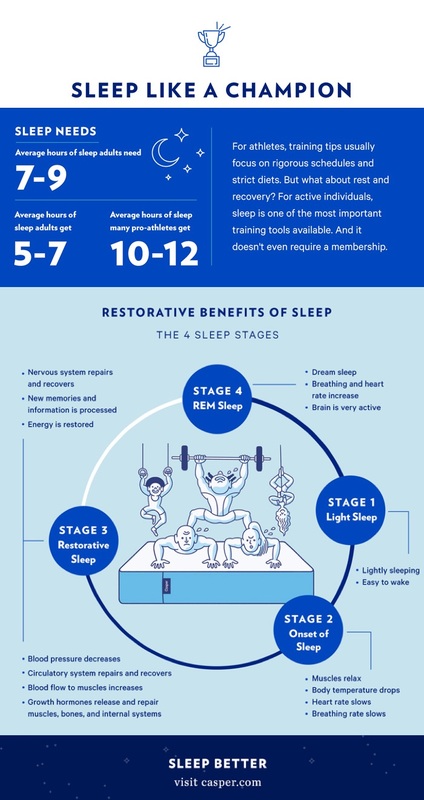 Sleep is not only physiologically, psychologically and energetically restorative, but it aids in healing and repair of all our systems, including muscles and tissues. N3 sleep, often known as stages 3 and 4, is the most restorative. This is when blood supply to the muscles increases, when tissues grow and repair, energy is restored, and hormones such as the growth hormone are released, which is essential for muscle development. Specifically, carbohydrates, tryptophan, valerian, melatonin, and other nutrients have shown to be effective in inducing sleep. If looking for a sleep supplement, make sure it has one of these proven nutrients. You can also get these nutrients from food with melatonin. According to a study published in the Journal of Chiropractic Medicine, simply investing in a new bed can have a significant impact on your sleep quality. Subjects in this experiment who slept on a new, medium-firm bed, rather than their old 10-year-old mattress, experienced reduced back pain, greater comfort and deeper sleep. When it comes to the science behind what makes a mattress supportive of quality sleep in terms of design and materials, the research is severely lacking. Sleep enthusiastic brands such as Casper, have conducted their own experiments. Biased or not, the company is transparent about their investment in the scientific design of their mattresses, which may be a good option if you’re in the market for a new bed. Just like you commit to a physical fitness regimen, you also need to get stricter about your bedtime routine, including a set sleep schedule. Biologically, your body has a rhythm it attempts to follow, and doing things like sleeping in or going to bed increasingly later can really throw things out of whack. Instead, stick to a consistent sleep schedule, even on the weekends. Leave your bedroom curtains or shades open so that your body can get exposed to sunlight in the morning, and make sure to turn blue light-emitting devices off a few hours before bed. Muscle recovery and rest days are often under-sold in terms of their importance, but resist neglecting these moments. Make sure you stretch and rest: pain, like muscle soreness, when unmanaged can disrupt your precious sleep.